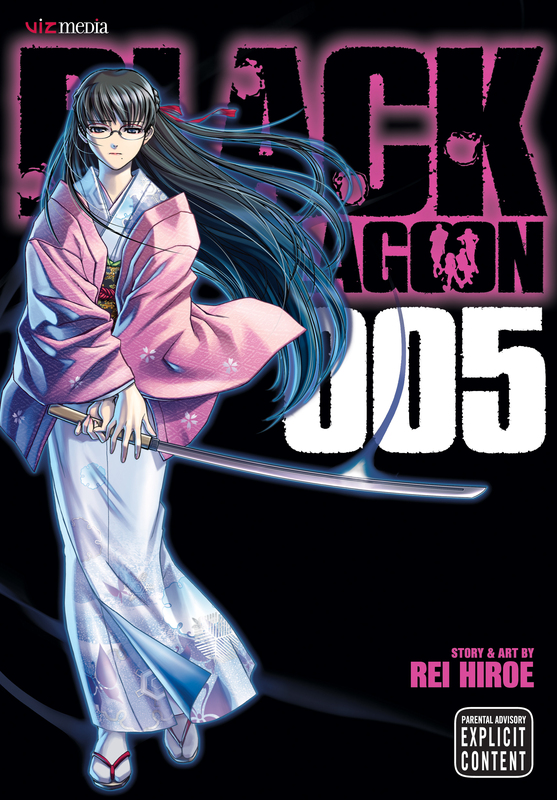 Black Lagoon volume 5 was illustrated be Reu Hiroe and was published on 17th of March, 2006. This volume features the next eight chapters (30-37), read the review for the fourth volume here. Yukio has been kidnapped after succeeding her father and becoming the head of the Washimine-gumi family. Rock and Revy team up with Ginji (The Washimine’s hard as nails swordsman). Even if Yukio can be rescued, Rock feels that she is still imprisoned by her obligation of her role as head of the family. This causes him to challenge her beliefs and whether this is the life she should live. As of this, Rock and Revy find themselves in the firing line of both the Mashimine-gumi and Hotel Moscow’s tyrannical captain Balalaika. Rock confronts Balalaika about her actions and demands that she leaves Mashimine alone, She responds in typical fashion by sticking a gun in his face, however, she learns a new found respect for Rock after he convinces her to let him go. After a trying final plea to Yukio to abandon the Yakuza life, Rock will never be the same. My Review: This volume is exclusively the continuation and the end of the Fujiyama Gangsta Paradise arc. In a much similar fashion to the Bloodsport Fairy Tail arc, the ending was depressing but all too perfect. The grim ending really does justice to the entire arc, I found that the whole story had this melancholy feeling to it, which was only enhanced by the wintery scenery of underbelly Japan. Balalaika’s role in this volume was much less that the previous, the way her attitude towards Rock just suddenly switches was somewhat unbelievable, that being said, I would like to see that new level of the relationship being explored in the future, perhaps with rock joining up with Hotel Moscow for a time. I rate this manga 3/5.